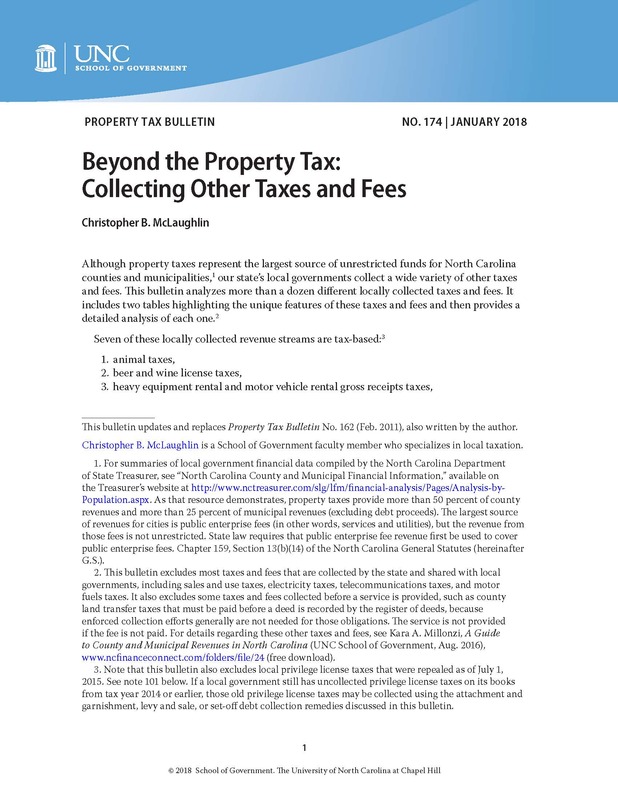 This bulletin provides two quick-reference tables summarizing the unique collection features of the most common local taxes, costs, and fees followed by a detailed examination of each. It concludes with a discussion of a local government's authority to refund or release these taxes, costs, and fees. This bulletin updates and replaces Property Tax Bulletin No. 161, published in January 2011.